I cross my heart, pinky promise, would not lie to you--I had this post in the works ALREADY and had to edit it because Pinterest has already granted one of my wishes. This was going to be my Pinterest Wishlist for the holidays. 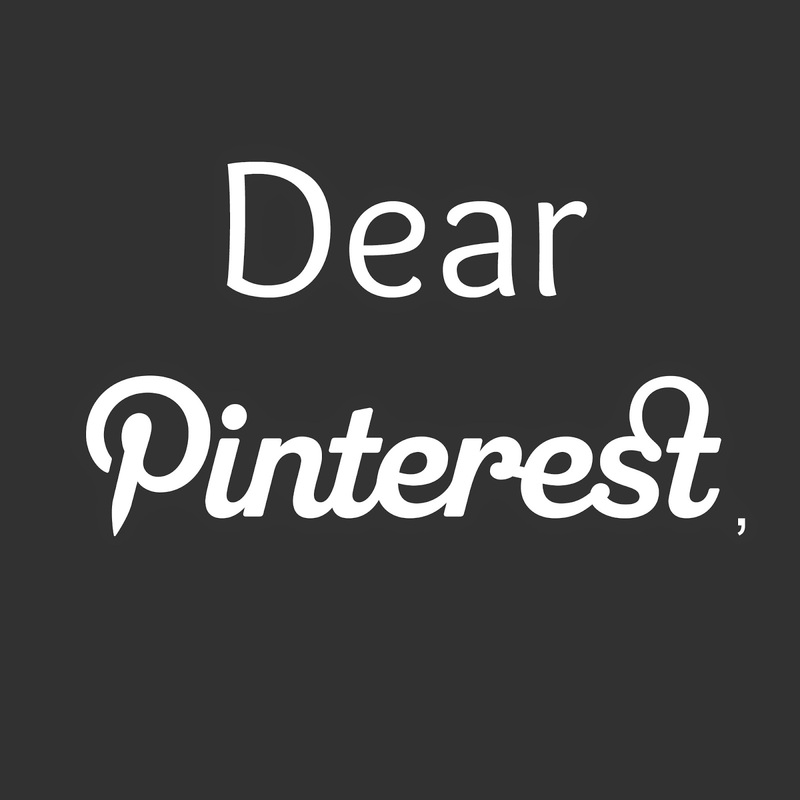 A Dear Pinterest, Please make the following changes...kind of post But then on Tuesday I found out that they had already made the first change I was looking for! 1. Allow me to select and move multitple pins at once. Done. We can do that now. So, for example, your food/meals board has main entrees, sides, desserts, drinks, etc. You can move all the drinks at once to a new board! 3. Allow me to search for pins narrowed by other people. Sticking to the topic of food, you know when someone makes an awesome meal or dessert and you compliment them or ask for the recipe and they tell you they found it on Pinterest? Well, when I go to look for said recipe I can search for items on all of Pinterest (which yields A LOOOOOOT of results) and I can search for items from ONLY my pins, but I can't narrow a search to that person who made that awesome dessert. I wish I could narrow my search to one of the people I was following. What about you? Do you ever play around on social media and wish for things to be even more efficient than they already are? What changes would you like to see?